Music Students Dance "For the Kids"
Engaging more than 15,000 students across the Commonwealth of Pennsylvania, the Penn State Dance Marathon (THON) is a 46-hour, no-sitting, no-sleeping dance marathon held at the Bryce Jordan Center each February. The annual weekend is the culmination of a yearlong fundraising and awareness campaign for the fight against pediatric cancer. The largest student-run philanthropy in the world, THON raised a record-breaking $12.37 million for the Four Diamonds Fund at Penn State's Hershey Medical Center, which provides funding for counselors, social workers, and other specialists who work with young cancer patients and their families. It is an enormous honor for a student to be selected as a dancer; some are selected by a vote of their organizations' members, while others are chosen on the strength of their fundraising efforts. This year, three music majors were chosen to dance at this year’s THON, themed "Inspiring Tomorrow's Miracles." Alison Geesey, a senior in the IUG program in music theory, and senior Brittany Mohney (B.M.E.) danced independently—a difficult undertaking. Without organizational sponsorship, they were individually responsible for reaching the high fundraising threshold required to be selected as dancers. Eventually, Alison and Brittany raised over $16,000 to fight pediatric cancer. After being involved with the dance marathon for three years, Brittany felt compelled to try to dance this year, saying that she waited until her senior year because she wanted to "truly understand the meaning of dancing. Not only was it an incredible way to end my THON career as a Penn State student, but it also gave me three years to really understand what dancing means." The event has been both a passion and a mission for Brittany since her freshman year. "I chose to dance because I wanted to make a difference in the life of a child. For the past three years, I have been dedicated to fundraising...I have put my heart and soul into acquiring every dollar I could to help these kids, who fight every single day." Alison has been involved in the dance marathon from her first day on campus as a freshman. "When I came to Penn State, I wanted to be a part of something that truly made a difference. 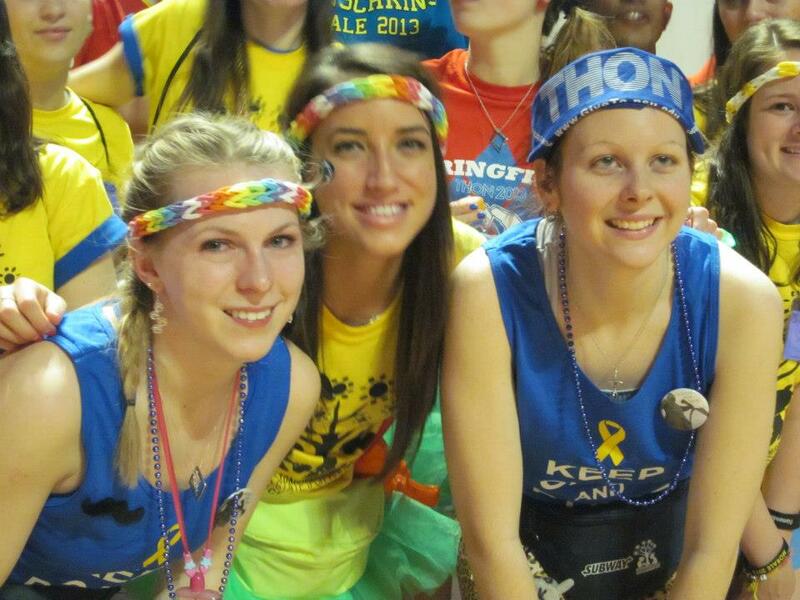 THON is the definition of service here, and I knew I wanted to be involved in it even when I was in high school. The cause is amazing, especially knowing that we've made such a huge difference in the lives of these children and their families." According to Alison, being on the floor in general was a huge reward. “You get to meet so many families, hear so many inspirational stories—and some heartbreaking ones as well—and feel the energy all weekend...you know you're doing it for the right reasons." Brittany also said the difficulties were far outweighed by the amazing experience. “It was worth every moment...it takes some thinking ahead and planning, but it was worth every late night, extra assignment, awkward conversation, et cetera. 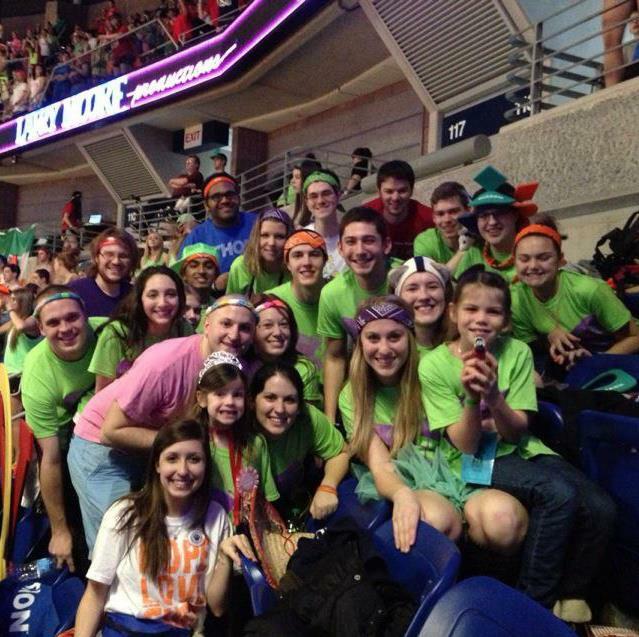 THON was the best experience of my life." In addition to the dancers, four other music majors were on the floor for the full 46 hours, working on various support committees: junior Tommy Daniels (B.M.E., saxophone); junior Frank Jones (B.M.E., voice); junior John Livingston (B.M.A., piano); and senior Matt Ross (B.M., viola). Lauryn Brady, senior in Neuropsychology; Kristen Engler, senior in Nutritional Sciences; Ryan Halpin, junior in Food Science; Shane Haydt, senior in Mechanical Engineering; Lauren McCrea, senior in Psychology; Elyse Rider, junior in Labor Studies; Mark Shultz, sophomore in Marketing; Kelsey Smyth, junior in Human Development; Jackie Stare, senior in Advertising/Public Relations; and Sean Zortman, junior in Elementary Education. 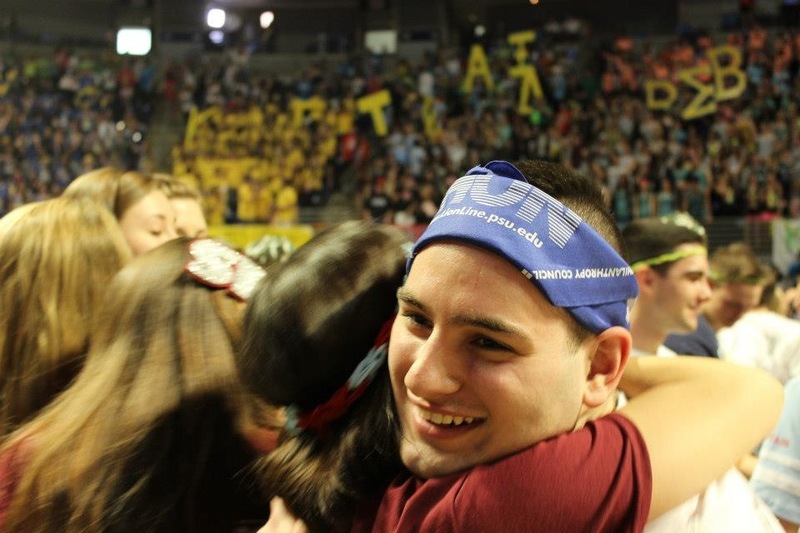 THON is a unique experience to Penn State, and one of its most remarkable traditions. These dedicated students will never forget it. Congratulations to you all - the School of Music is proud of you and your service!